Campbell, P. S. (2018). Music, education, and diversity: Bridging cultures and communities. New York, NY: Teachers College Press. Patricia Shehan Campbell can rightfully be considered one of the most prolific authors in music education, both within the United States and internationally. Her latest book, Music, Education, and Diversity: Bridging Cultures and Communities, condenses more than 35 years of professional and personal expertise surrounding multicultural music education in an almost commemorative-like fashion. Published as part of James A. Banks’s Multicultural Education Series, Campbell’s book represents the sole music title in a now 62-book compilation of culturally-relevant educational texts. The resulting creation is an easily readable and highly accessible manuscript that may be equally enjoyed by music educators and general educationists alike. As the lone book on music education within Banks’s series, Music, Education, and Diversity successfully bridges the gamut of research relating to the complementary fields of multicultural education, music education, and ethnomusicology. It includes historical perspectives as well as recent trends and innovations within these fields, and offers a thorough “lay of the land” by scrupulously integrating research on policy, reform, musical transmission and enculturation, cultural responsiveness, social justice, community music, ethnomusicology, and other closely-related areas. The merging of extensive research with the author’s personal experiences as a musician, educator, and ethnomusicologist is further enriched by thick descriptions of diverse global musical journeys. Campbell has been gifted with boundless opportunities to experience (and teach) music all over the world, and she shares several personal anecdotes of these global excursions—to Ireland, Bulgaria, Mexico, Havana, Tanzania, Nepal, Myanmar, and several more—as well as local “musickings” back home in the United States through local folk music, Tex-Mex conjunto, blues, gospel, and Native American powwows. While such travel opportunities may be limited to many, Campbell’s descriptive vignettes help readers picture the musical traditions of these nearby and far-away lands, enabling them to envision music as a global—and likely pan-human—phenomenon, even without experiencing them first-hand. The readership for Music, Education, and Diversity is intended to include undergraduate and graduate students in music and music education (pp. xvii–xviii). Yet, given the approachable and jargon-light writing style, it also seems appropriate for students of arts education and general education students broadly. Indeed, a growing emergence of “Music for [General] Educators” courses are cropping up widely in teacher training programs, and I believe this text would serve as a formidable addition to any such course. Additionally, because the book is so deeply centred around promoting cultural diversity and inclusion within school classrooms, it would serve as a valuable resource for educators who have yet to examine multicultural perspectives and possibilities within their own teaching careers. Potential readers could therefore expand to include graduate students returning to study for an advanced degree, practicing teachers seeking new perspectives within their own craft, or future teachers embarking upon their very first experiences in music education. Envisioning broadly, Campbell states that the book is intended for “all [who] seek the realization of multicultural aims, [and] the role of music in the curriculum as a powerful bridge to cultural understanding” (p. xvii). It must be acknowledged that the book is primarily centred around the multicultural efforts of schools and institutions within the United States, and details much of the history from a U.S. perspective (although the referenced literature is decidedly international). Yet, there is an eye toward a global constituency as well, with keen attention to how international efforts have contributed to a global awareness of diversity and inclusion. To be sure, now is not a time to be ethnocentric, and while this book illustrates many of its points from a domestic U.S. perspective, I believe it attentively keeps the international reader very much in mind. The book opens with a broad-based discussion of music’s function in life and society, surveying the various ways in which it is made, consumed, and embraced both locally and globally. This illustrative first chapter sets a welcoming tone which seemingly invites a diversified readership of musicians and non-musicians alike. Chapter 2 delves into the history of American music education, including Lowell Mason's European-flavoured singing schools, the development of culturally diverse musical interests within the U.S., and the eventual inclusion of "far away songs" from far-off lands. From here, each chapter frames a particular issue or trend within multicultural music education. 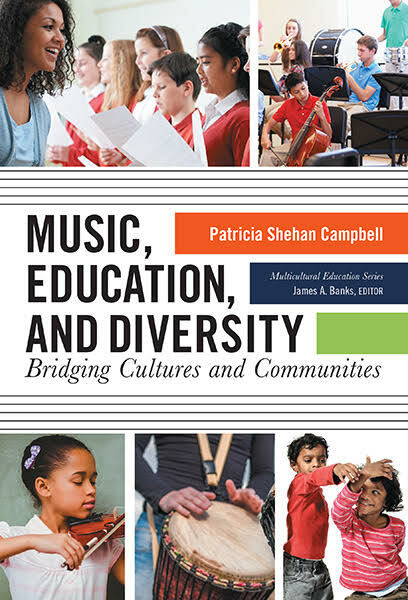 Chapter 3 details the successful blending of music education and ethnomusicology—two fields which Campbell identifies as fitting logically together at the nexus of multiculturalism, social justice, and music education. She echoes Mantle Hood's call for bimusicality, which emphasizes the importance of competency and functioning within two (or more) musical cultures, and shares important perspectives regarding matters of authenticity and context, as well as the potential pitfalls of essentializing and tokening. This paves a path for the contents of Chapter 4, which more systematically examines the connections between multicultural education and the aims of social justice, as described by multicultural educator James Banks. Campbell translates Banks's four levels of curricular reform for the field of music education in a logical and forthright manner, detailing how each of these “levels” may logically progress from surface-level multicultural “additions” to full-fledged commitments to social action and change. The following chapter provides a well-rounded discussion of the various transmission processes through which music is learned and consumed—from formal, nonformal, and informal/enculturative learning processes, to notion-based and aural-/holistic-based transmission processes. Situating the discussion directly within diverse real-world contexts, Campbell concludes with culture-specific case studies which illuminate the various teaching and learning processes experienced in Japan, Tanzania, the Philippines, in Native American communities, and among children (an oft-forgotten and rich culture of their very own, for which Campbell fervidly advocates). From here, Campbell delves deeply into the emergence of community music as a pathway for exploring diverse musical practices. She acknowledges that as a field, community music has been historically sluggish in both its introduction and acknowledgment (particularly in the United States). She discusses how the diversity often found within surrounding communities provides significant possibilities for engaging musically with others, which she briefly illustrates through four specific cases of cultural immersion within various communities. The chapter offers possibilities for incorporating "culture bearers" from communities to augment musical learning experiences, and promotes the role that universities can play in developing such relationships with their surrounding communities. She goes on to clarify the possibilities of community music in prioritizing participatory musical experiences through the pursuit of cultural democracy. In book-end fashion, the conclusion of the book leaves readers with a practical vision of what diversity in musical contexts can and ought to look like. From elementary school music classrooms (where multicultural efforts have been most commonly seen) to middle school bucket drumming ensembles, high school choral and instrumental ensembles, and far into communities and societies, Campbell illustrates multicultural music education as a manifold and endlessly worthwhile pursuit for any music educator. It should be noted that three of the eight chapters in this book have been adapted from previously-published chapters from edited book volumes, which may prove somewhat disappointing to those who loyally read all of Campbell’s writings and are looking for something entirely brand new. However, this book is far from a regurgitation of past work; her thoughts have been noticeably updated, and some perspectives have been reframed from her earlier writing, making this newest book a far cry from some earlier publications. For example, her perspectives on community music (Chapter 7) are distinctively extended and her work in World Music Pedagogy (Chapter 6) has been clearly reinforced since Teaching Music Globally (2004) was published 15 years ago. Yet the intended readership would expectedly appreciate the centralization of Campbell’s most noteworthy contributions combined with updated perspectives within a single cogent text. As such, readers will likely do well to select this book as an early (if not first) foray into matters of cultural diversity in music education. In its entirety, Music, Education, and Diversity admittedly does not add many particularly new or innovative perspectives to the multicultural music education literature. However, this does not appear to be the intention of the book to begin with. Rather, as the result of nearly 35 years of personal and professional experience, the tome more closely represents a gestalt work—an exploration of the holistic progress made within multicultural music education, and a celebration of the battles that have been won in the name of cultural diversity and inclusion. The text condenses the dynamic and complex body of literature on multicultural music education into a manageable and inviting read, which I believe will solidify its role in what will surely continue to be a long-lasting discussion within educational scholarship. Indeed, given the fast-growing rate of socio-cultural change worldwide, matters of cultural diversity will only become more relevant, more opportune, and more indispensable in educational discourse as time goes on. And the degree to which music may play a role in these essential conversations, I anticipate that Campbell’s text will serve as an invaluable resource for contributing deeply and uniquely to these dialogues. William J. Coppola is Assistant Professor of Music Education at the University of North Texas College of Music in Denton, TX, USA. His primary research interest examines the role of humility and egoism as they pertain to the cultivation of prosocial musical engagements in music education. Dr. Coppola is co-author of World Music Pedagogy, Volume IV: Instrumental Music Education, published by Routledge. He is a Smithsonian Folkways and Kodály certified music educator, and has presented his research nationally and internationally. 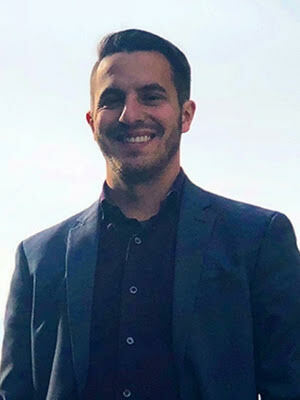 Before entering higher education, Dr. Coppola was an elementary music director for New York City Public Schools and served as the Vice President of the Kodály Organization of New York (KONY).